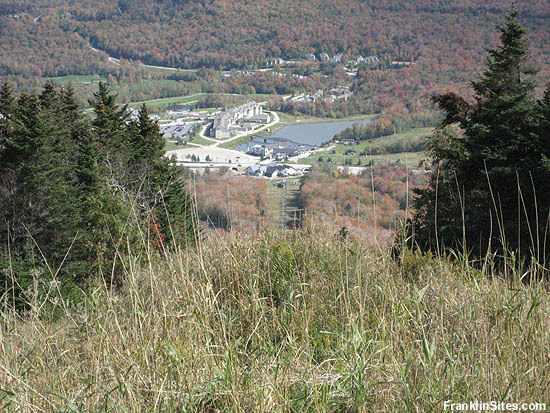 In trying to push Killington into "big league" status, a complex was planned for a peak north of Snowdon called "Ram's Head." Initially called "North Peak," Ram's Head's dedication was on January 31, 1963, including an open house and a broadcast on ABC's "Discovery 63" television program. 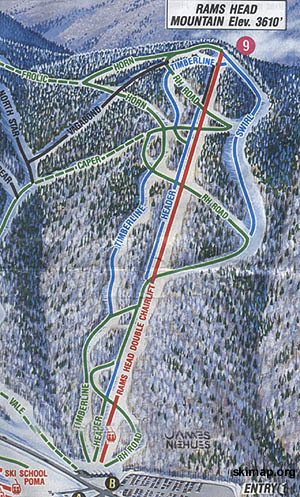 Billed as an intermediate area, it opened with 4 miles of trails, serviced by 1.25 mile long double chairlift. 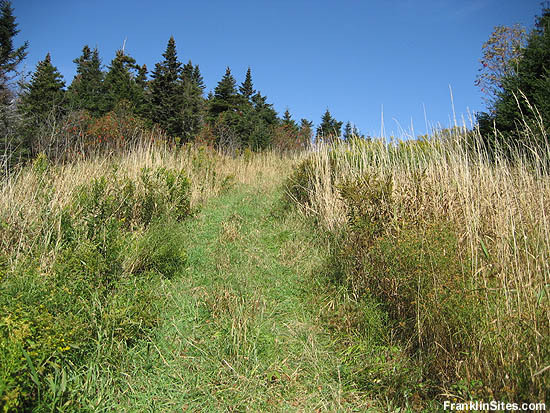 A few additional sections of trail would be added between the 1970s and early 1980s, however the complex would remain largely unchanged until the mid 1990s. In 1996, the double chairlift was replaced with a new Poma high speed detachable quad, rising 1,073 vertical feet and running 5,499 feet. 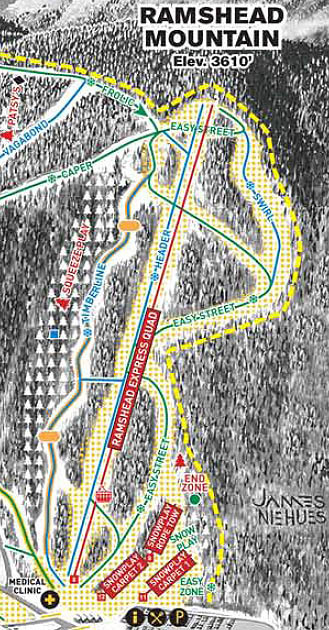 While the lift allowed the complex to be family friendly with increased capacity and better access to novice trails, it was also noticeably shorter, as over two hundred vertical feet at the top of the peak were abandoned. 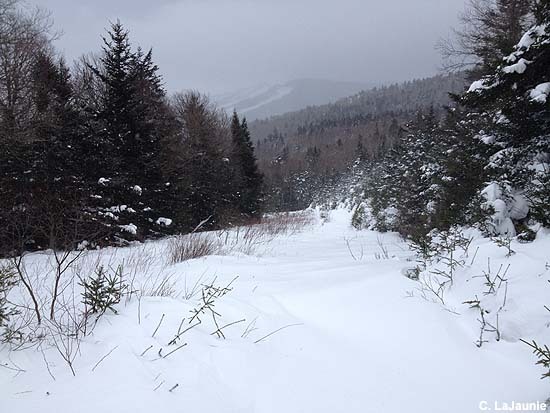 The abandoned terrain, as well as the increased lift capacity were also seen as first steps in connecting Killington to Pico.